During World War II, my father, Frederick P. (Andy) Anderson (1917-2015), was a U.S. Marine stationed aboard the USS Santa Fe (CL-60), a Cleveland Class light cruiser that saw action from the Aleutians, to the Philippines, to Iwo Jima. 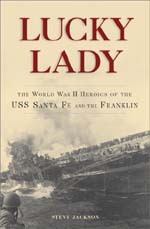 Especially noteworthy for the Santa Fe was her role in the rescue of the aircraft carrier Franklin and a large portion of her crew. 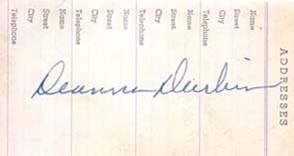 The text of this account of the voyages of the Santa Fe was prepared in 1947 by the Ships Data Section, Office of Public Information, the Navy Department. Many of the photos on this website are scanned from the U.S.S. Santa Fe Cruise Record -- with captions I have written. Additional photos come from the Naval Historical Society website, private collections, and other online sources. 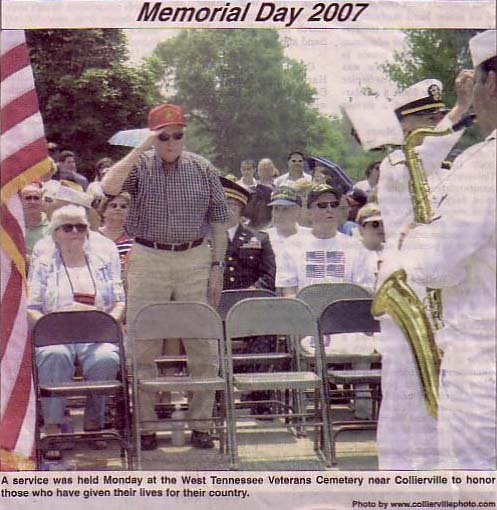 Here's a picture of Andy a little over 60 years later, and he's still wearing a Marine hat. He hadn't changed much, had he? That's Leta sitting to his right. Or click on the record itself to hear the "full length" message home. 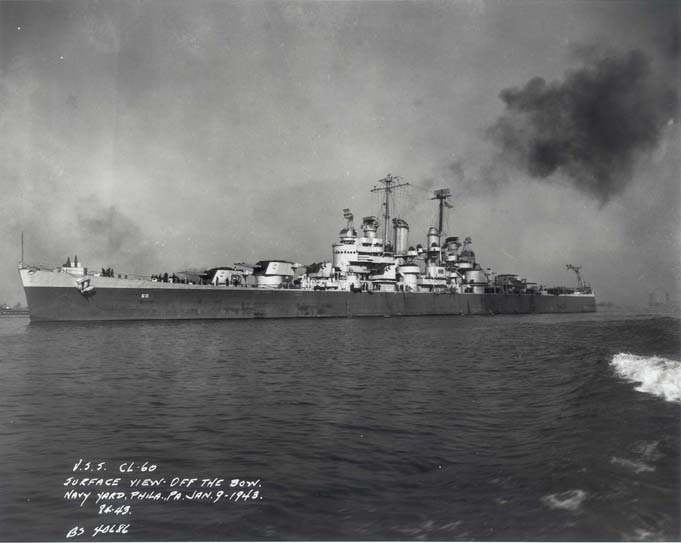 Click HERE for news about USS Santa Fe reunions and other crew information. ARMAMENT: Twelve, 6-inch .47 caliber guns, twelve 5-inch .38 caliber dual purpose guns, plus 40mm and 20mm AA guns.